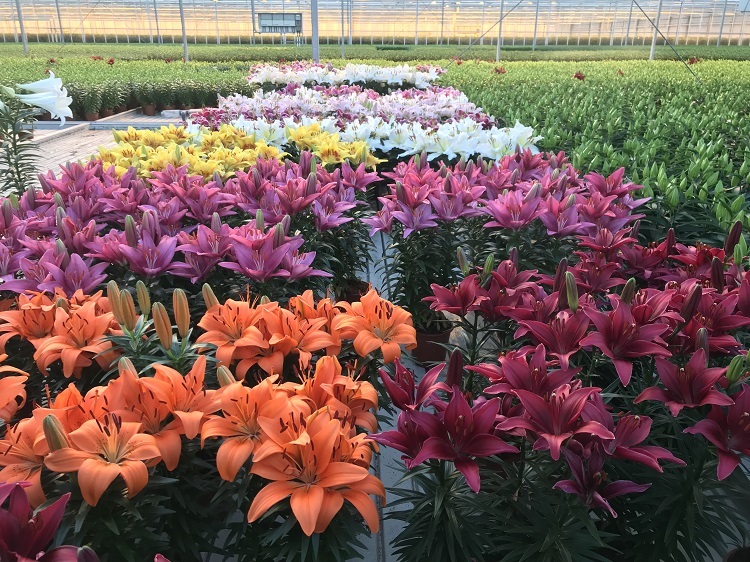 Flowers and plants have the ability to express, appeal and enhance emotion; combined with several beautiful words, flowers are being appreciated even more. 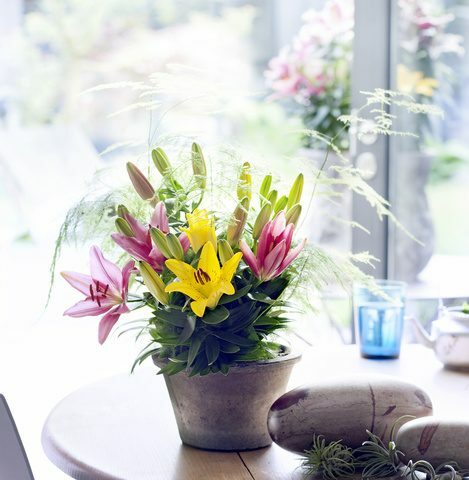 The potted lily is a plant that is able to express emotion and fits right in the style of ‘Happy Chic’: contemporary and cheerful, and definitely not ‘stern’. Combinations are possible with many bright pastel colors, from shocking pink to turquoise, and add a touch of gold and silver.